In Hands double-CD paperpack! 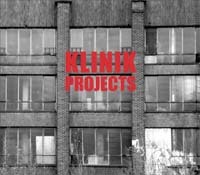 ''Projects'' is a kind of ''Best of KLINIK''s side-projects'' from 1989-1992. Featuring a total of 33 tracks by NOISE UNIT, PARA, X-10, D-SIGN and X10 feat. Tec Trance. After many, many years of being deleted, following jewels of electronic music will be available again: CD1 contains 6 tracks of the 1989 Noise Unit (B. Leeb, M.Verhaeghen) album >Grinding into emptiness>: 01 Deceit 02 Struktur 03 Collapsed 04 Dry Lungs 05 Ritualistic 06 Agitate 5 tracks of the 1990 Noise Unit (B. Leeb, R. Fulber, M.Verhaeghen) album >response frequency<: 07 Disease 08 Paranoid mass 09 Forgotten realm 10 Feel the anguish 11 Homage 4 tracks of the 1992 album >X-10 feat. Tec Trance (P. Dee, Double M.Force, R. Ossig, H. Rix, M. Verhaeghen): 12 Spirit World 13 Simulate X 14 Failed 15 Bounce track CD2 contains 9 tracks of the 1990 Para (S. Voss, M. Verhaeghen) album >Zentese<: 01 Eingang 02 Lift 03 Dich 04 Es 05 Achterbahn 06 Fit of diffimus 07 Rise&Fall 08 Nachricht 09 Forest 6 tracks of 1991 X-10 (N. Mono, M. Verhaeghen) album >Semblance<: 10 Godless Race 11 Disgusting 12 Smokey mountain requiem 13 Downtown underground 14 25 Millions d''annees 15 Beat my bones 3 tracks from 1991 D-Sign (DIE FORM + M. Verhaeghen) album >Burning Cells<: 16 Burning cells 17 Brain overload 18 Brain overload (overload mix) To keep the magic of that early material the cd is not re-mastered and released on Hands'' >edition schallarchiv<.